PUTERI COVE RESIDENCES at Puteri Harbour, New Launch 2014. Puteri Cove Residences, Puteri Harbour property new launch. 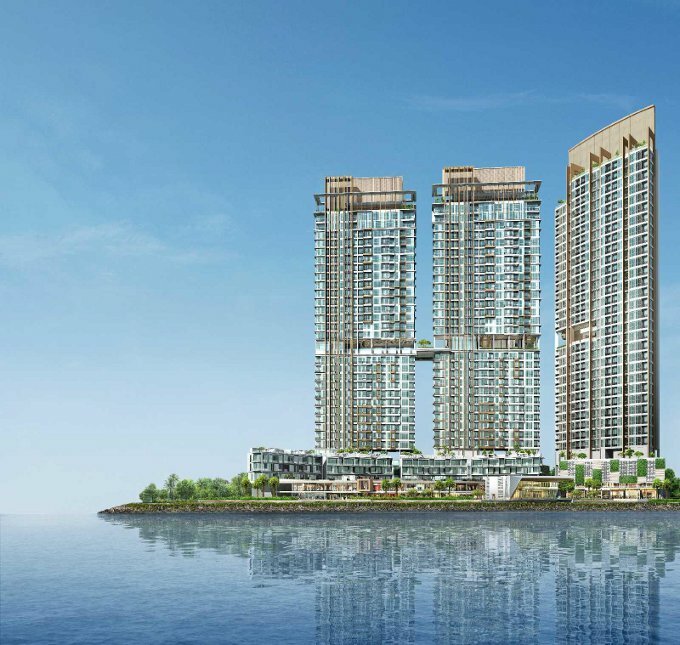 Puteri Cove Residences is one of the most anticipated Puteri Harbour waterfront project to launch for sale as it is the first mixed development with so much to offer. Every apartment will get million dollar uninterrupted view of the private marina or sea with a private marina at doorstep, an ultimate 5 star resort style facilities, a shopping mall and a dining center right at edge of the sparkling waterfront. It is truly a gateway to an ultimate waterfront living of affordable luxury. Jointly developed by renowned Singapore-based developer, Pacific Star and DB2 Group, Puteri Cove Residences is located at the most desired and elegant address in Iskandar. Situated at the most prime freehold land parcel in Puteri Harbour spanning over a land area of 31,577sqm, an exclusive and prestigious private marina precinct. It comprises of three 33-storey apartment towers, ranging from one bedroom to four bedrooms, special dual-key units and penthouses, sitting on a 5 star resort style facilities podium with generous car parking spaces below. 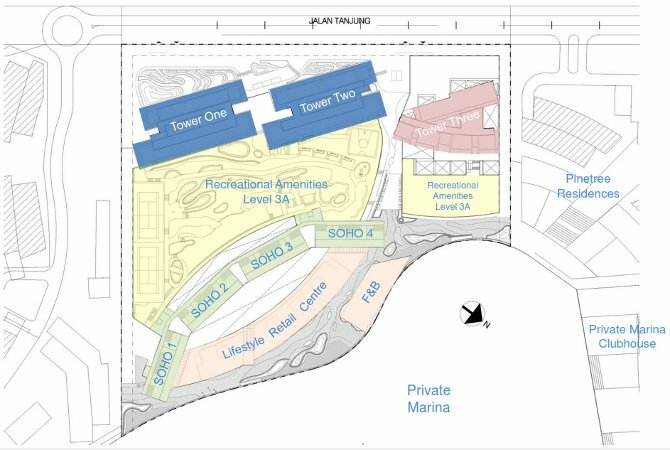 At the edge of the facilities podium closer to the water edge are four low rise 3-storey blocks of multi-functional SOHO units with high ceiling. 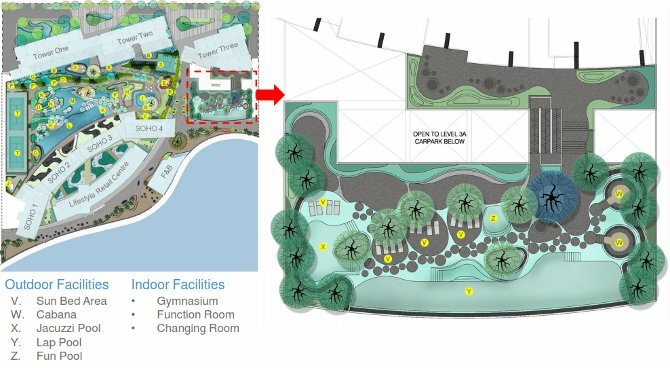 The development then cascade down to a lifestyle retail podium with a dining center overlooking the private marina. The cascading layout of the development ensures every apartment panaromic breathtaking view of either the private marina or the open sea. Reflective of waterfront luxury living, Puteri Cove Residences is masterfully crafted by the architects with a distinctive facade that blends in with two-level of commercial lifestyle retail centre of approximately 120,000 sq ft consisting of about 80 retail units plus a F & B center fronting the private marina. Residents in Puteri Cove Residences can indulge in a plethora of speciality shopping, dining and entertainment choices to cater to all their daily conveniences, lifestyle and leisure needs. Puteri Cove Residences offers 5-star resort-style facilities for it residents with every detail made to create a unique waterfront lifestyle that many can only dream of. 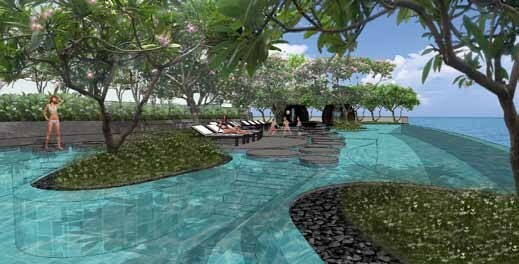 As residents at Puteri Cove step out into the the facilities deck they will be greeted with landscape garden lined with waterfall, koi and lotus pond leading to the thematic pools. The pools are shape like a lake blending with the rainforest themed gardens lined with pool decks and yoga deck for residents to rejuvenate. For the family and friends gatherings there are cabanas and BBQ terrace to wine dine and entertain while watching the kids play at the playground or dipping in the fun pool. For the serious health buff there is a host of facilities to keep fit. From an infinity lap pool to swim laps, tennis courts and a half basketball court to trash it out, to a sky gymnasium and an indoor lap pool at the sky observation deck. 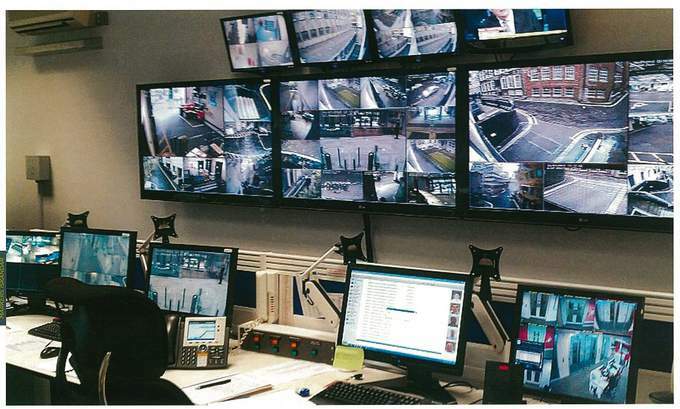 Within the Puteri Cove Residences security is of utmost priority therefore a multi-tiered sophisticated security system for safety and tranqulity is deployed 24/7/365 with building security teams on site. There's is never a dull moment living at Puteri Harbour. 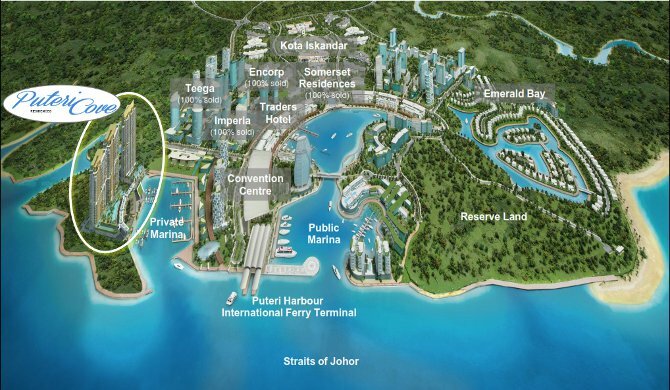 Within the close proximity to Puteri Cove is the Hello Kitty Themepark at the Red Cube Shopping Mall, Puteri Harbour Traders Hotel, Puteri Harbour Club House and an upcoming Convention Hall. Stroll, jog or cycle along the beautiful landscaped promenade that lines the marinas and watch the yacht sail by or simply relax by the the side walk cafes or be wowed by the majestic building of the Johor State Government offices at Kota Iskandar. Also within the vicinity of 5 minutes drive is Medini North where a host of amenities can be found. There are the family entertainment LegoLand ThemePark, Legoland hotel, Gleneagles Hospital, Afiniti Wellness Center, Mall of Medini, Edu-City with its various international varsities and Pinewood Iskandar Malaysia Studios with over 100,000 square feet of film stages. 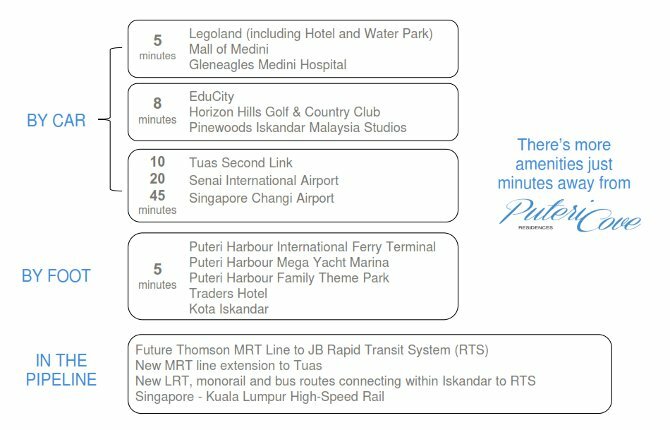 Puteri Cove Residences has a private marina at its doorstep while the Ferry Terminal CIQ is just opposite, a 5 mins walk away. This allows residents to take a lesiure boat ride from the Harbourfront ferry terminal in Singapore to the development. By road it is a just 10 minutes drive via the Tuas 2nd link Checkpoint. All the conveniences are also within minutes drive away. The closest is at the public marina where there are eateries and shopping near the Traders Hotel. a 5 minutes drive up to Medini will take you into the Legoland Theme Park & Hotel, Medini Mall and soon to be completed Afiniti Health Centre and Gleneagles Hospital. With the newly completed New Coastal Highway, residents at Puteri Cove Residences can also zip around Nusajaya and to Bukit Indah in 10 minutes drive. Also in the pipeline are the most talk about Rapid Transit System (RTS) and the Singapore-Kuala Lumpur High Speed Rail with stations being drawn up in the plan to stop in Medini. 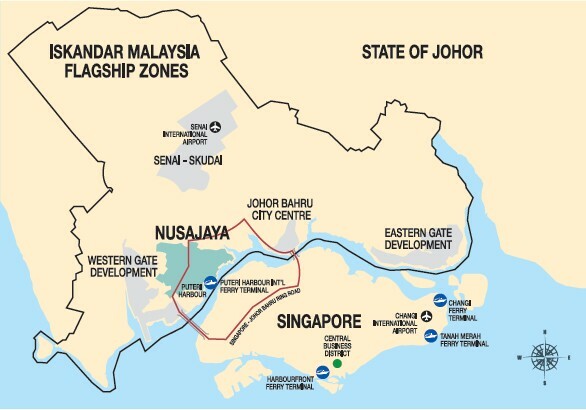 According to Iskandar Investment Berhard (IIB), the commercial investment holding company created to oversee and encourage regional development of Iskandar Malaysia, their objective of developing Nusajaya into a bustling metropolis is on track. The catalytic projects in which IIB has invested and facilitated are projected to attract five million visitors per year into the area along with numerous businesses. End purchasers who invest in Medini’s property developments at this early stage can benefit from future price appreciation and solid rental yields. Commercial tenants will benefit from visitor spillover brought on by major tourist attractions such as LEGOLAND® Malaysia as well as increasing occupancy rates in surrounding residential developments. So Don't miss your opportunity to own the Ultimate Puteri Harbour Waterfront Luxury development - Puteri Cove Residences! 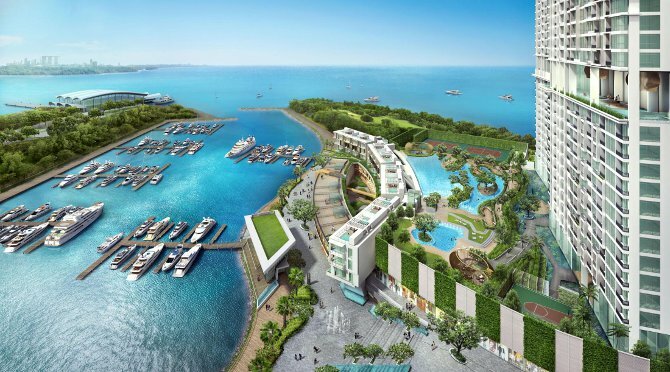 Sentosa Cove like luxurious waterfront living from an affordable S$3xxk! 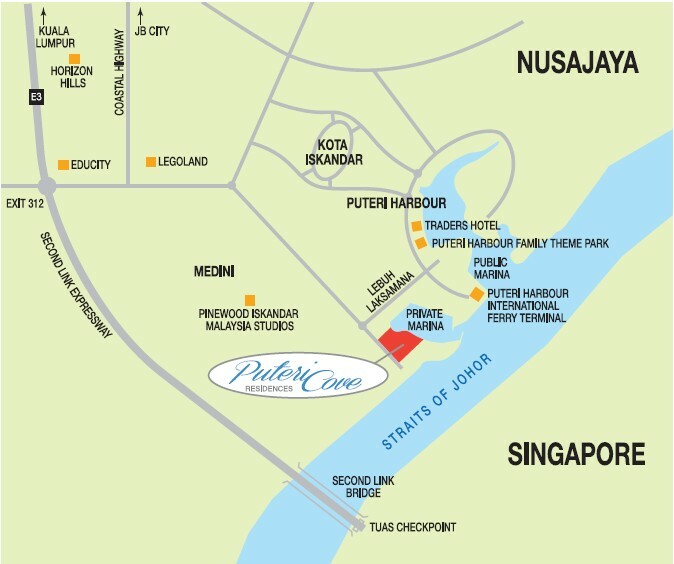 Puteri Cove Residences is located at the most prime site in Puteri Harbour in one of the most important locations in Nusajaya. As one of eight the catalyst projects of Nusajaya, the town planners leaves no stone unturned in its planning. 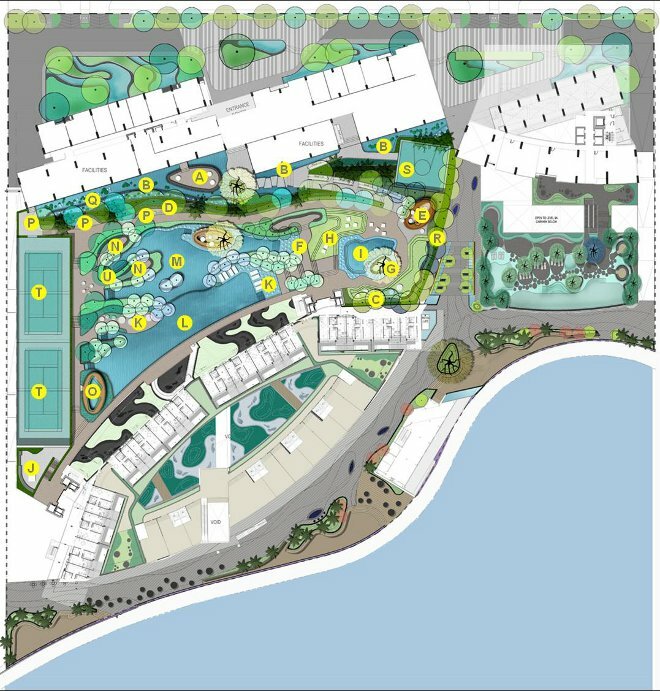 With the help of world-renowned architect, Philip Cox of Cox Architects Puteri Harbour waterfront community is amongst the world's best winning the FIABCI award for Runner-Up Best Matersplan in 2010. Vincent van Gogh once said, “Great things are not done by impulse, but by a series of small things brought together.” This aptly personifies the urban waterfront of Puteri Harbour, a picture of poetic beauty in Nusajaya, Johor. 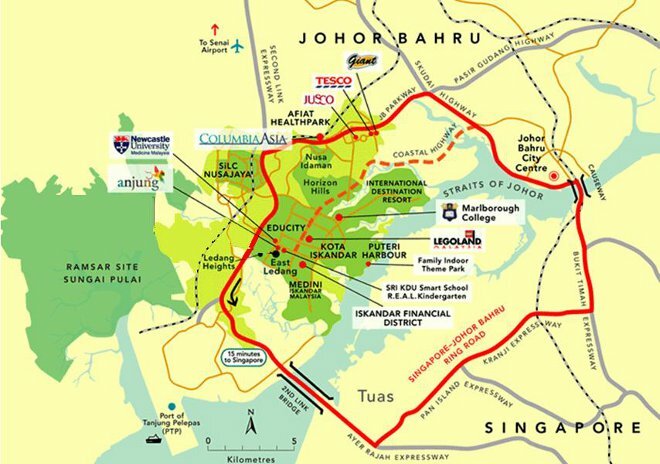 Nusajaya "Live, Work and Play in Iskandar" exclusive township is reachable within 6.5 hours flight of major asian cities in Zone B of Iskandar located near to the Tuas 2nd link. 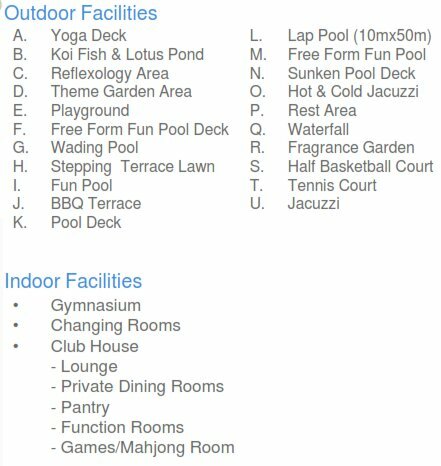 A wide range of unit types and sizes can be found at Puteri Cove Residences to cater to all needs and lifestyle. 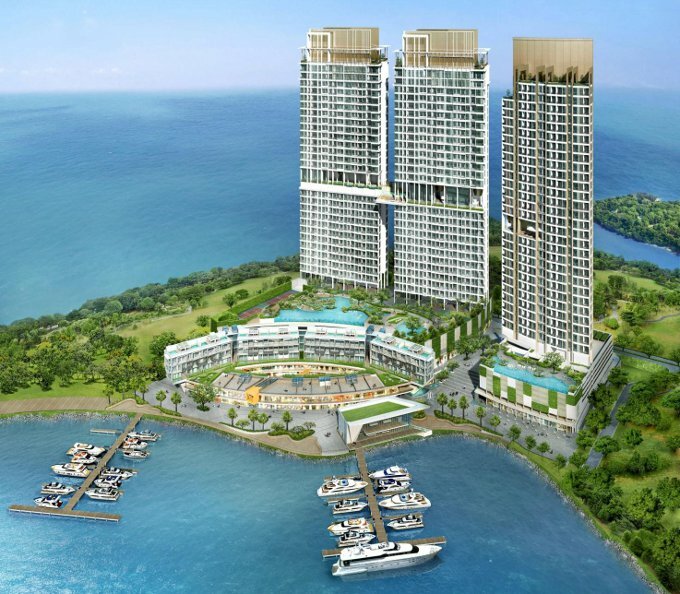 All unit offers stunning views of the private marina or the Straits of Johor. An affordable luxury watefront living at Puteri Cove Residence awaits you. 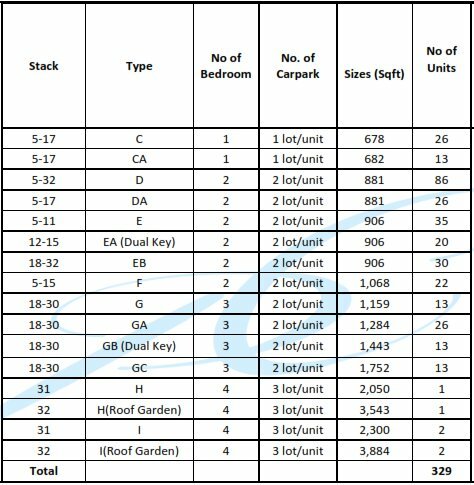 Indicative price of Puteri Cove Residences averaging at RM1360psf or a good size 1+study of 678sqft from SGD3xxK!